Firstly please excuse me for the super cheesy title I couldn't resist ok. Secondly I'd like to thank PLT for these boots that have just been giving me more life than I can handle! This is actually my first ever pair of boots -I honestly can't believe it either. Though being a die hard sneaker-head had to end at some point though so I'm glad that the boot shaped hole in my life is now filled with this perspex-heeled, patent beauty! 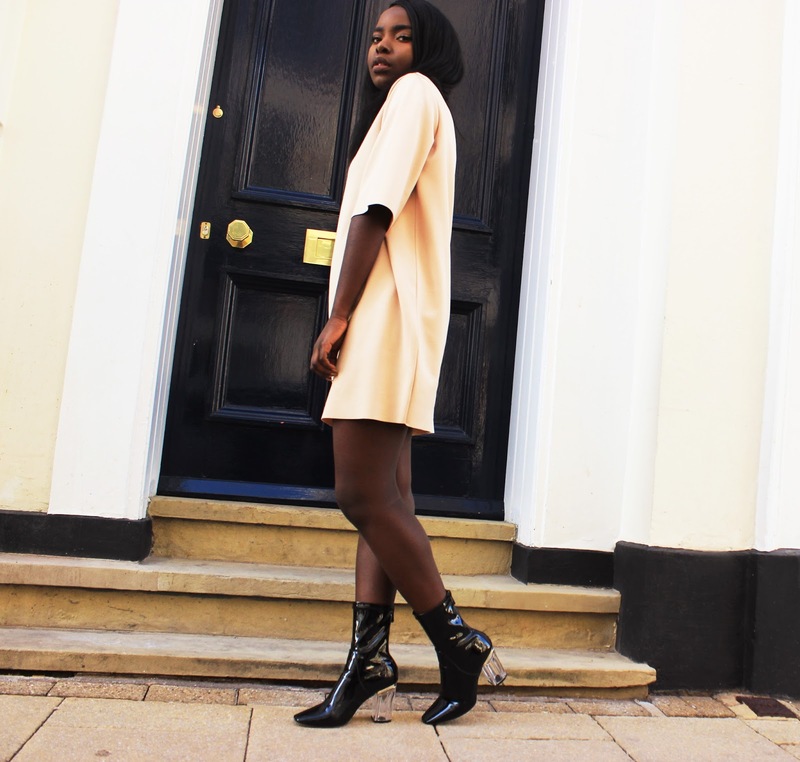 I had to style them alongside my latest Missguided purchase this high neck tee dress. I live for a minimal, clean, silhouette so I died when I found this number. I love how simple, but chic this outfit is. You can never go wrong with a roll-neck dress! 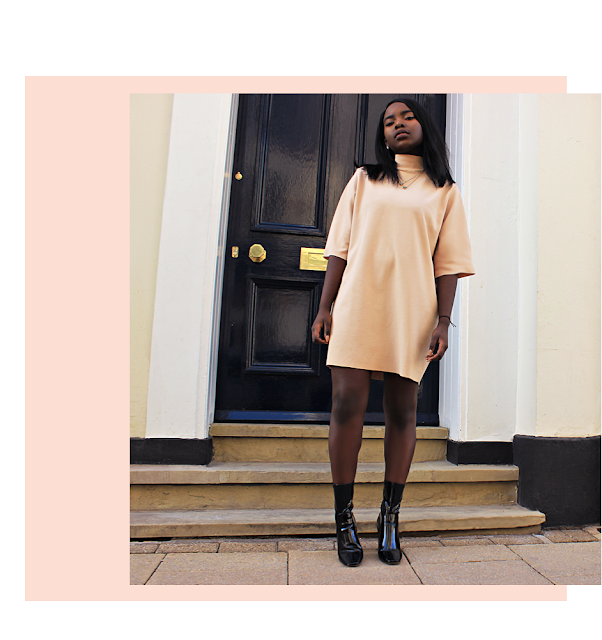 cant believe this dress is from Missguided - looks amazing! I love the dress you are wearing, it's beautiful ! !